Welcome to your Religion around the Globe page. 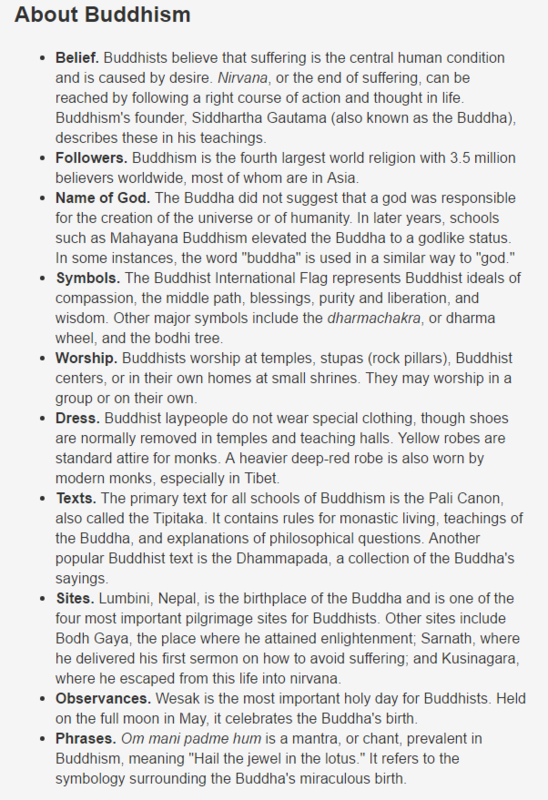 Choose Britannica for some online encyclopedia information on your chosen religion. Just type in the name of your religion and see the answer. ​This ie pre-CRAP tested information - you are free to just use it. 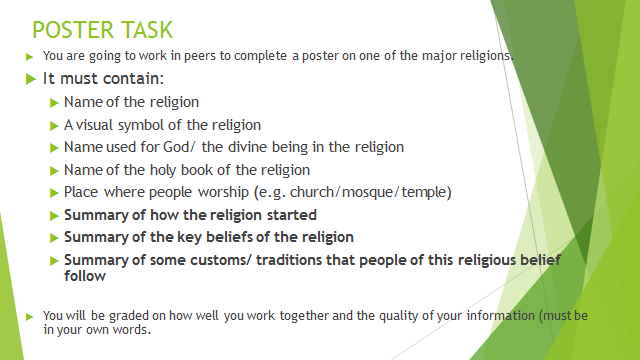 Choose BBC Religions page to search for information on your religion and religious beliefs. Choose Carrot2 - searching your religion with keywords such as Buddhism and "belief system"
REMEMBER: Carrot2 and Google are just search engines. You must CRAP test everything you find. 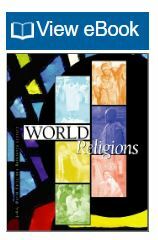 Choose World Religions eBook for some online encyclopedia information on your chosen religion. BE PATIENT! It has a lot of passwords to get through on your behalf - it will get there! ​​This ie pre-CRAP tested information - you are free to just use it. Just look up your religion on the list.